Differential settlement has been a serious issue in the construction of the new station ever since different parts of the station had been constructed at different times--most evidently obvious at the juncture between the beer can (vertical tower) and pod A2. The problem (as further described/depicted here)--the station structure was settling faster than the stair tower--perhaps in part because the stair tower was constructed on a lower, denser snow foundation. This difficulty was most evident where the stair landings were higher than the station doors, thus preventing the doors from properly opening outward. So, in 2002-03 the stair tower and utility pipe supports were lowered, and provisions were made for further lowering. At the same time, the doors into A2 were recessed into the station structure rather than installed flush with the exterior walls per the original design. All this was one reason why initial occupancy was delayed for a year to the beginning of the 2003 winter. 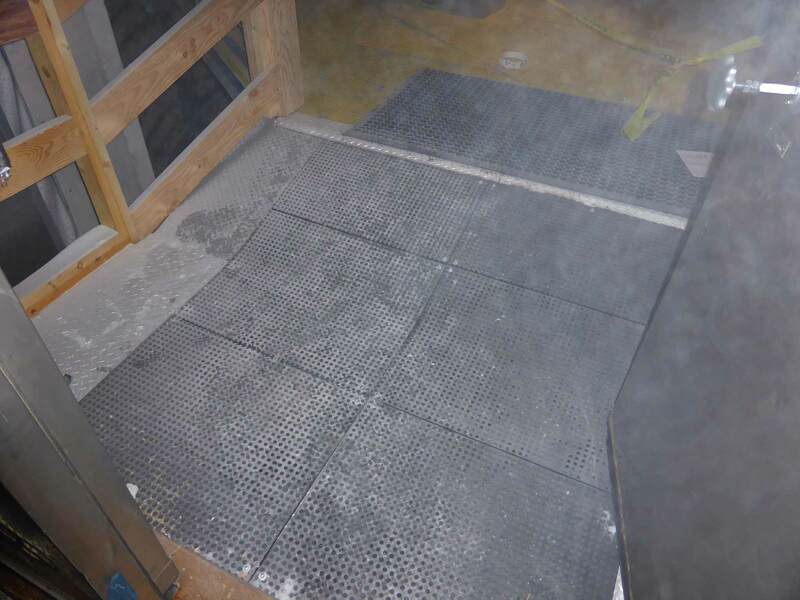 The recessed doors caused significant heat loss, particularly in the subfloor where all of the piping from the power plant connected to the elevated station, and at least one freezing/leaking episode was a result. So, suddenly during my 2008 winter, we were told by Denver to relocate the station doors to their original design locations--presumably because it was thought that the differential settlement was in the past. So we did, as I describe here. And I thought that was the end of it. But I guess not. The elevated station continued to settle faster than the beer can/stair tower, and eventually the freezer doors started to bind up on the ramps. 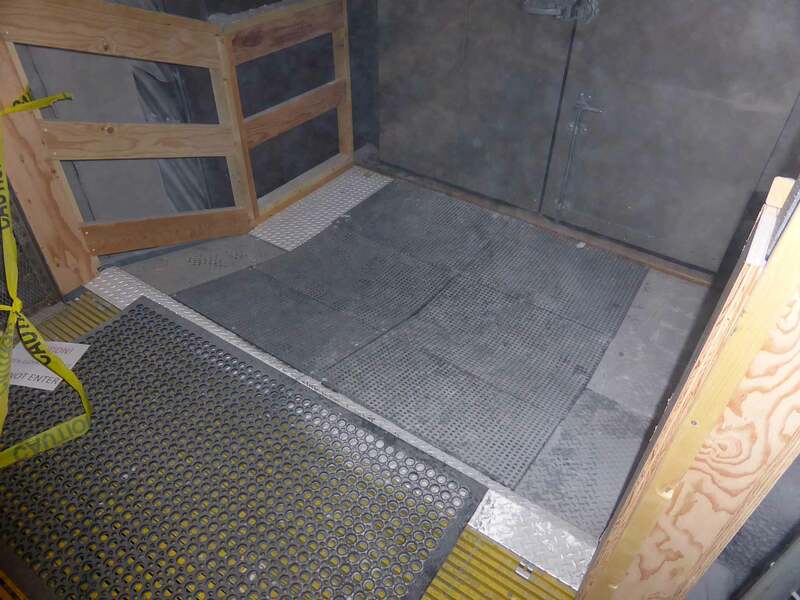 The interim fix, which happened in 2013-14, was to create a series of ramps so that the doors could close and that food carts could negotiate the difference in elevation. Below, a couple of photos of the level 2 ramp. In 2014-15 (well, pending funding, of course) the plan is to implement the lowering of the stair tower. So the number of steps from the station to the power plant level may change from 94 (?) or whatever it is now, to something different. Much of this information came from Don McCreight, with a bit of help from Jerry Marty. The photos are thanks to Robert Schwarz. There was also stuff happening with the rodwell...sewer...and that mess.